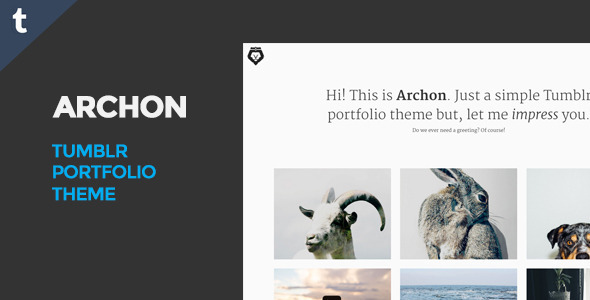 Archon is a Tumblr portfolio theme made for artists, graphic designers, photographers and all content creators online who want to put up an elegant website without breaking the bank. 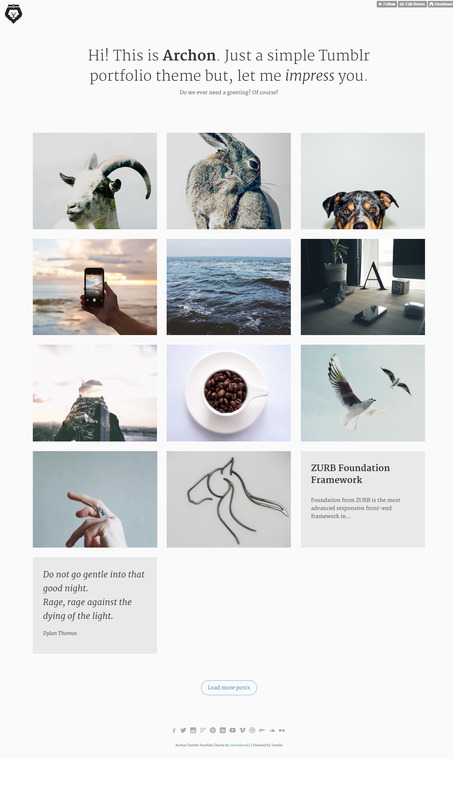 We put simplicity and cleanliness first on this one so you’ll get your content noticed by your viewers right away. July 19, 2014 - Fixed Links posts link not working correctly.